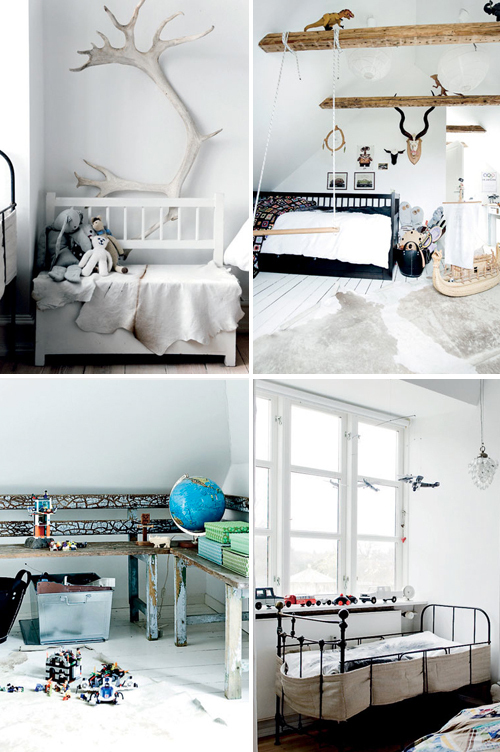 Today I’m loving … this nordic style family home. Love the white on white! Love the wrought iron crib! I love everything about this home! Love your blog! What a wonderful white home. I love your choosing..
Loving the first row of pics!!! It looks quite comfortable! Cute home! Love the photos!! Wow dat gewei is echt groot, machtig mooi zeg! They do interiors so well! 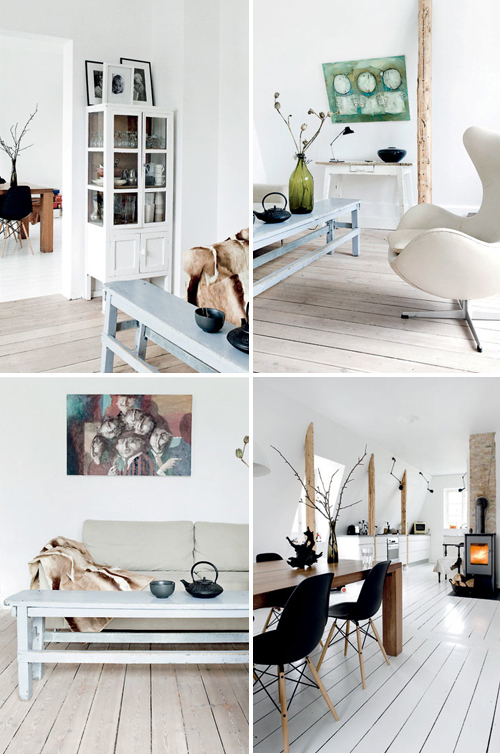 I love this place, all that light white and the raw wood – so inviting. The hutch in the corner is one of the best I’ve seen. Want it! Love this style and this blog.!! I love the nordic nurseries. Very nice it was decorated this house, I like when themes from nature get in contact with the man’s house. Everyone should have at least one thing from nature in his house. I featured that kitchen in my blog the other day – I absolutely love everything about this home.